Condition: Near New, never issued. Dirty from long term warehouse storage. 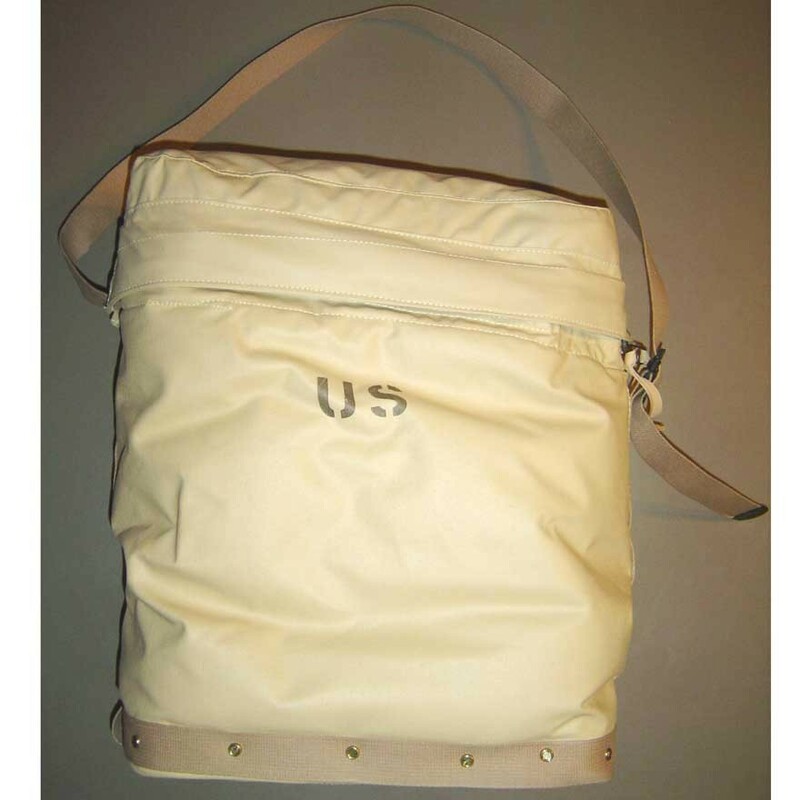 New U.S. Military Insulator Shoulder Bag fits 5 - gal. water cans. 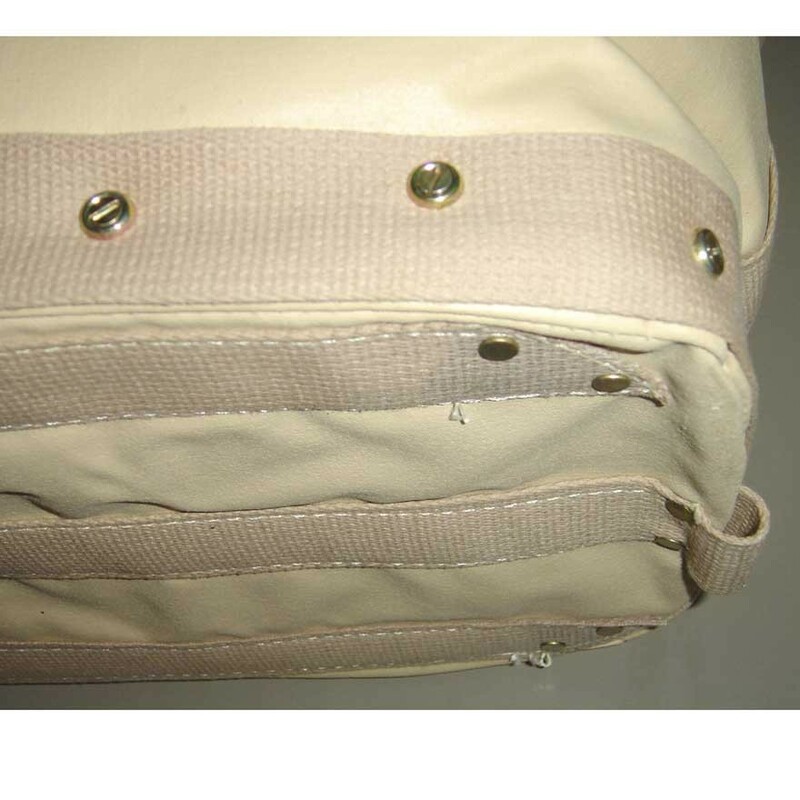 Large shoulder bag cooler to keep contents at a constant temperature! Keep your perishiables inside this rubberized cotton canvas bag to ward off extreme hot or cold weather. 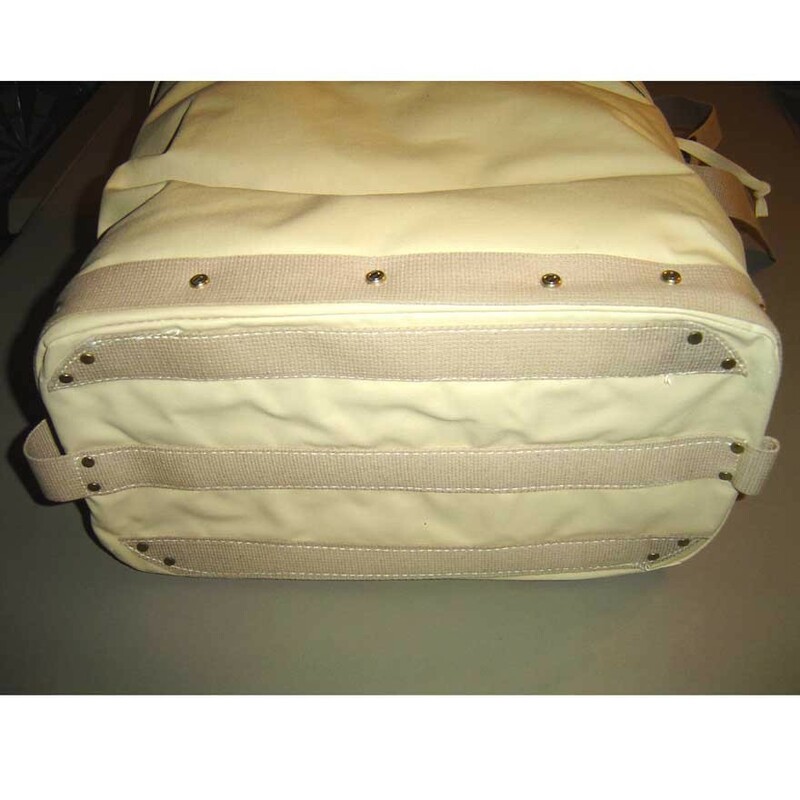 Also usable as a protective shoulder bag for fragile items like camera, lenses, LAN Patry Micro ATX desktop and cables..
Metal zippered lid with protective draft collar. 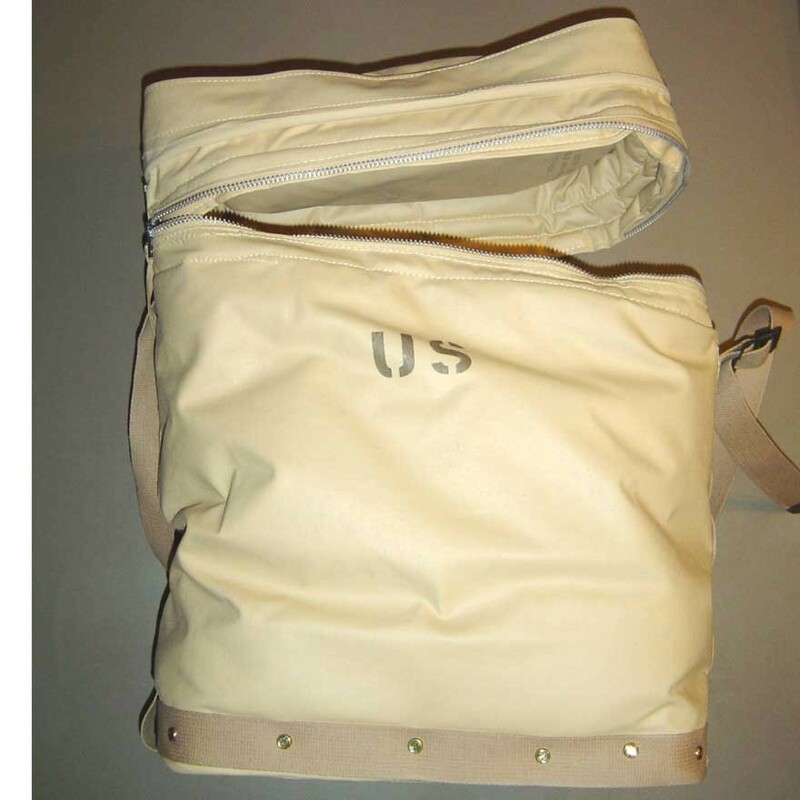 Outer measures 16 x 9 x 19.5 inch h.
MILITARY WATER CAN CASE. The rectangular military water can case, accommodates one 5-gallon water can. 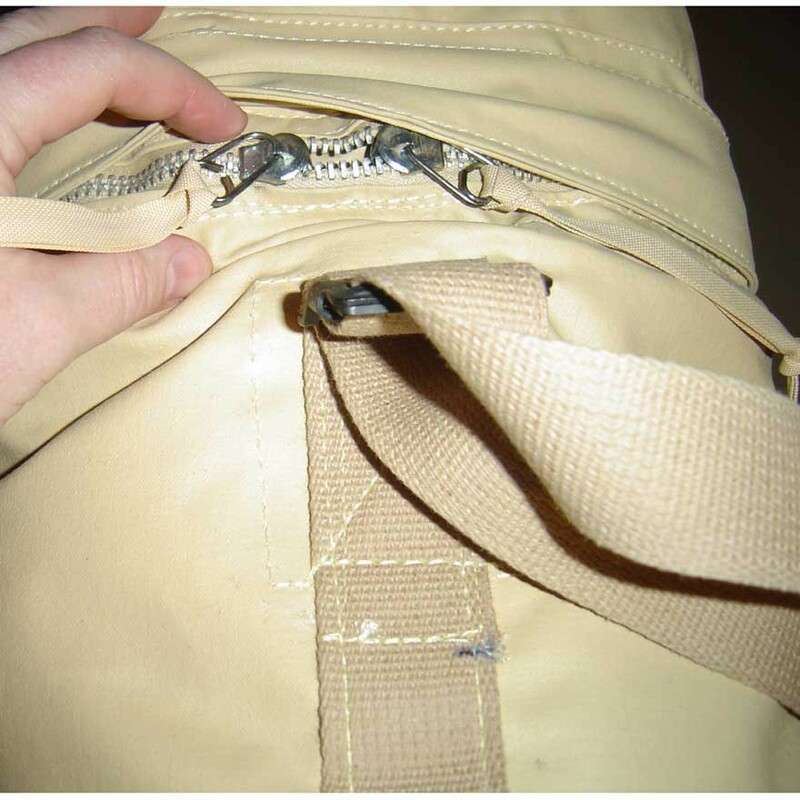 It is covered with an outside material which is a fire-and mildew-resistant coated cloth and insulated with 1 inch thick fiberglass insulation. 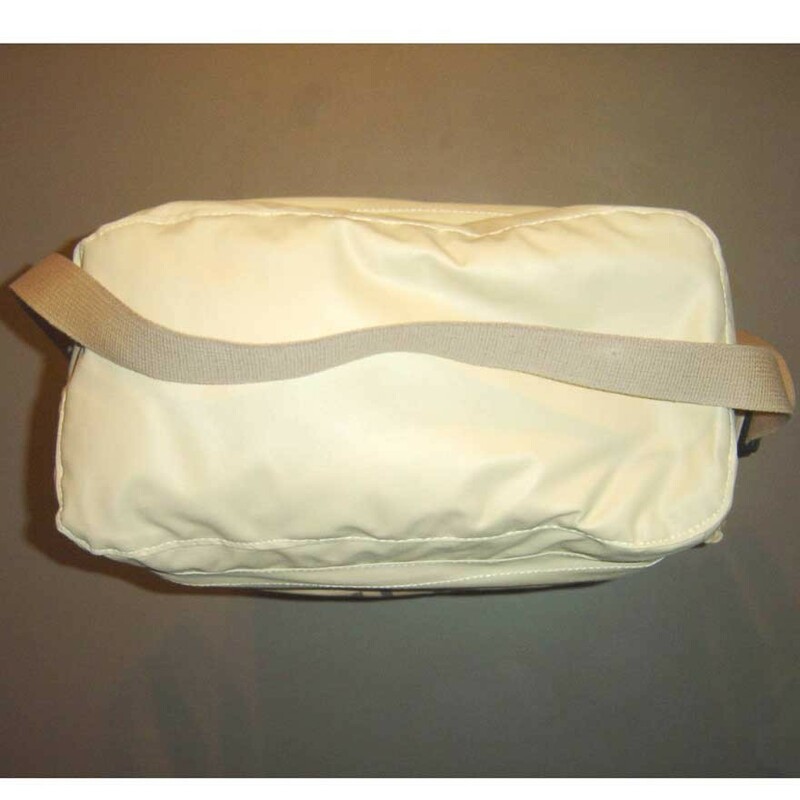 The case is equipped with a slide fastener closure and adjustable cotton webbing carrying strap, MIL-C-11430. 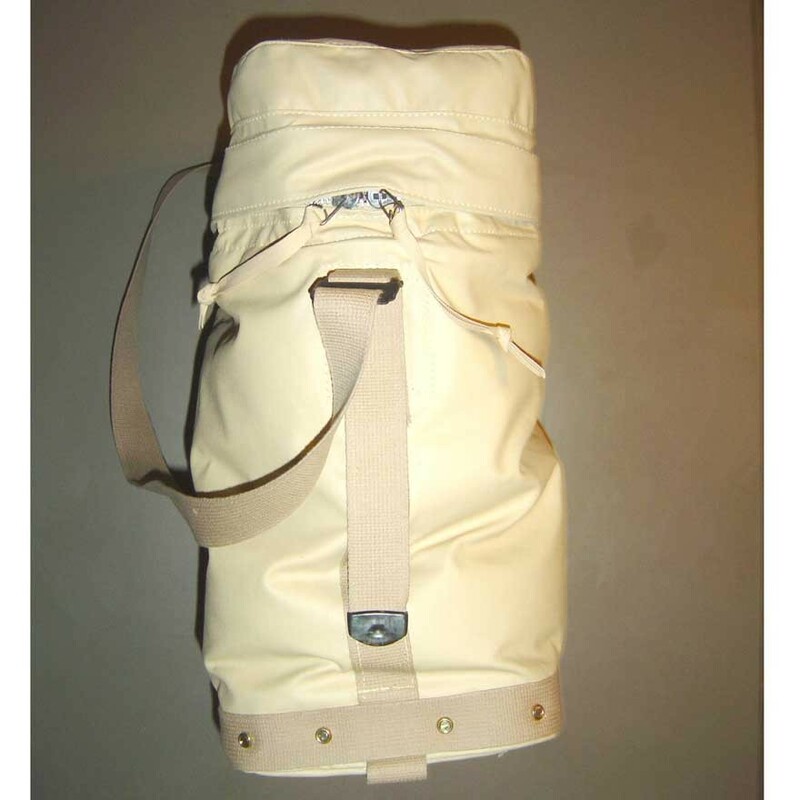 It is primarily for use in cold climate areas as a cover for the 5-gallon water can to keep the water from freezing. Capacity: The case holds one 5-gallon can. (5.05 gallons water,instulative case and jug weight: ~54 lbs).